Citizens of other countries, particularly in the Arab world, were probably observing this mass panic with a smirk, thinking, “and now it’s their turn”. Certainly, not out of spite, but in the hope that Americans would finally understand where they were coming from. WASHINGTON — Vice President-elect Mike Pence will take over the job of leading Donald J. Trump’s transition effort, taking the helm from Chris Christie, the governor of New Jersey, as Mr. Trump moves to assemble a government after his stunning upset victory, several sources close to the transition team said on Friday. 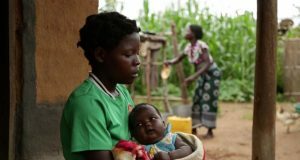 Tanzania has passed a provision, which stipulates that men who impregnate or marry schoolgirls will face 30 years in prison as part of the government’s commitment to fight and prevent child marriage.